Morey’s Piers and Beachfront Water Parks, located on the boardwalk in Wildwood, NJ is now hiring for seasonal staff with more than 1,000 positions available. A premier Jersey Shore destination, Morey’s Piers is seeking enthusiastic, outgoing, and responsible team players to fill seasonal jobs for this upcoming summer season. Online applications are now being accepted. Morey’s Piers and Beachfront Water Parks, located on the boardwalk in Wildwood, NJ is NOW hiring for seasonal staff with more than 1,000 positions available. A premier Jersey Shore destination, Morey’s Piers is seeking enthusiastic, outgoing, and responsible team players to fill seasonal jobs for this upcoming summer season. Online applications are now being accepted at: www.moreyspiersapplyonline.com. Employment opportunities are available in various departments, including Ride Operations, Park Services, Extreme Ride Operator, Lifeguards, Food & Beverage, Games Operator, Events Staff and much more. Seasonal positions begin with pre-employment training held throughout the spring and early summer. Positions may last through September, with the greatest number of jobs available during the summer months. Supervisor and leader positions are also available for qualified individuals. Many of the seasonal positions at Morey’s Piers are filled with local college/university and high school students who live and work in the Wildwoods each summer. 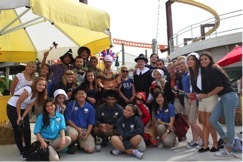 In order to fill its unique labor needs, Morey’s Piers supplements its domestic work force with several hundred international work and travel students participating in the U.S. State Department Summer Work Travel J-1 Visa program. “Having our domestic and international associates work side-by-side offers an incredible and unique educational and cultural experience not found in most summer jobs,” added Beckson. All associates of Morey’s Piers receive a free season pass as well as discounts at Morey’s restaurants and retail shops, employee picnics and after-hours parties, incentive and rewards programs and more. The 2015 season begins on Saturday, April 4. 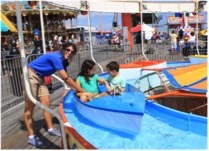 For more information please visit www.moreyspiers.com or call 609-522-3900.